It’s not uncommon for runners to finish a race and immediately start planning the next one. But Katie Maye took it one step further – after finishing her first half marathon, she decided to do one in every state! It’s an ambitious goal, but one that’s fueled by a cause near to her heart. While literally racing around the country, Katie is raising money for Meniere’s disease and the American Hearing Research Foundation through her nonprofit organization, run because. Read on to learn what inspired Katie to start run because, the progress she’s made to date and her goals for the future. Can you start off by telling us a bit about run because? run because is a nonprofit organization linked up with the American Hearing Research Foundation (AHRF). As the founder of run because, I am running a half marathon in every state, plus D.C., by age 50, to raise support and awareness of Meniere’s disease. The website is meant to reach out to people to inform them about what run because is all about and different ways that people can become involved. What inspired you to start run because? My mom has suffered from Meniere’s disease for 11 years and there is no known cause or cure. I wanted to do something to move research on this disease forward to help those who suffer from it. 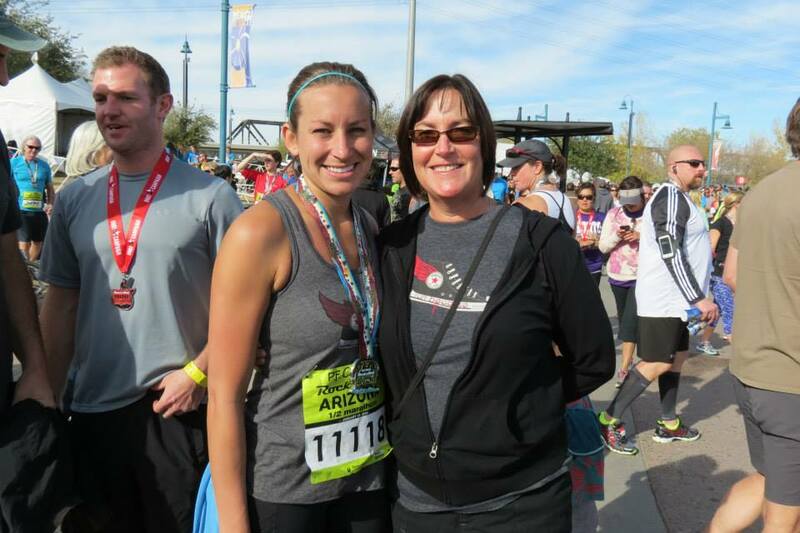 During my training for my first half marathon, my mom suffered from an increased number of Meniere’s episodes. Once I realized I could survive my first half marathon, I wanted to link it up with running to raise money for Meniere’s – one half marathon at a time. Can you tell us about your relationship with your mom? We are really close and have had a blast traveling together for these half marathons. My family has always been very close – willing to do anything for each other. What is Meniere’s disease and how does it affect people? Meniere’s is a disease of the inner ear that affects hearing and balance. The main effects are dizziness, hearing loss, and ringing in the ear. Meniere’s is very unpredictable and affects everyone differently. Even for the same person, each Meniere’s episode is different. For my mom and most Meniere’s patients, it is very debilitating and because of its unpredictable nature, can hit at any time. What is your goal for run because? The goal for run because is twofold – to raise money for Meniere’s research – 100% of our donations go to the AHRF for that purpose. The second goal is to spread awareness of what Meniere’s is and to let those with Meniere’s know an organization is out there fighting for them. Can you tell us about your progress to date? Which states have you crossed off your list and how much money have you raised? The progress and support to date has been really overwhelming. The fundraising goal for each race is $1,000 and for each of the races so far, run because has received $1,500 for each race. I have crossed off Milwaukee, Wisconsin; Phoenix, Arizona; and Olathe, Kansas. Can you talk a bit about how your outlook toward running has changed since starting run because? 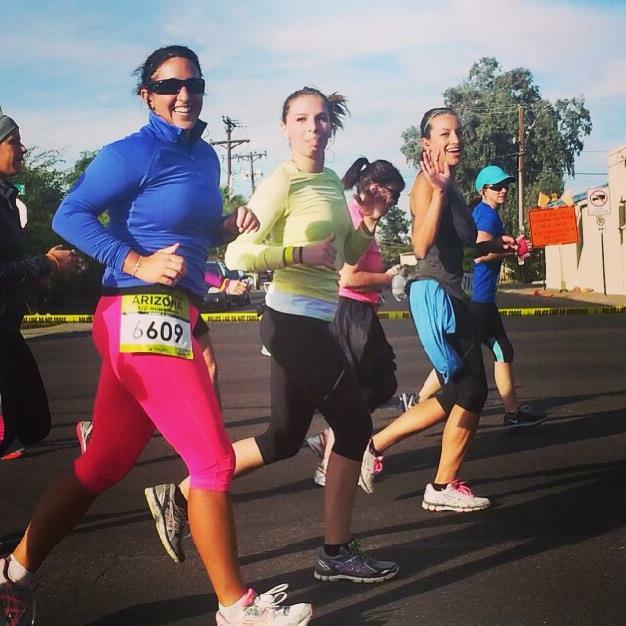 I was not a runner at all – now I am. Now I am a member of the best community there is, the community of runners. It’s a community of people who compete, but only against themselves. And a community that supports their fellow runner every single step of the way. It’s inspiring. Where are your upcoming races? On May 31st, I have race #4 in South Bend, Indiana. I have signed up for races #5 and #6 also–Chicago, Illinois and Richmond, Virginia. How can people connect with run because? The best ways to get involved with run because are (1) sign up for a race and join me for a half in any state, (2) buy a shirt or tank top made by a local MKE company – the proceeds of each shirt go as a donation, or (3) donate on my Crowdrise site. For this long term of a goal, any amount helps. Another way to get involved on even a minor basis is to spread the word about run because and Meniere’s. Together we can find a cure for this! 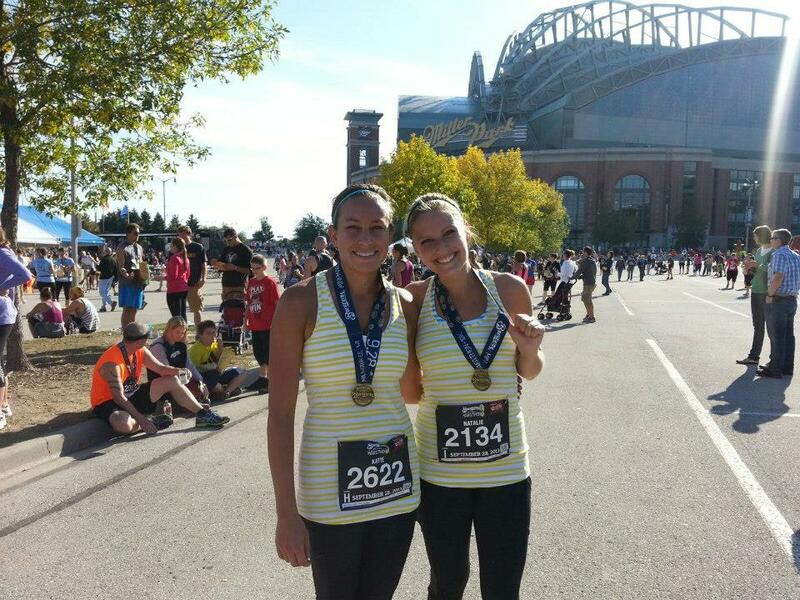 This entry was posted in MKE Runners and tagged Katie Mayer, MKE Runners, Run Because. Bookmark the permalink. ← What is your favorite type of run?